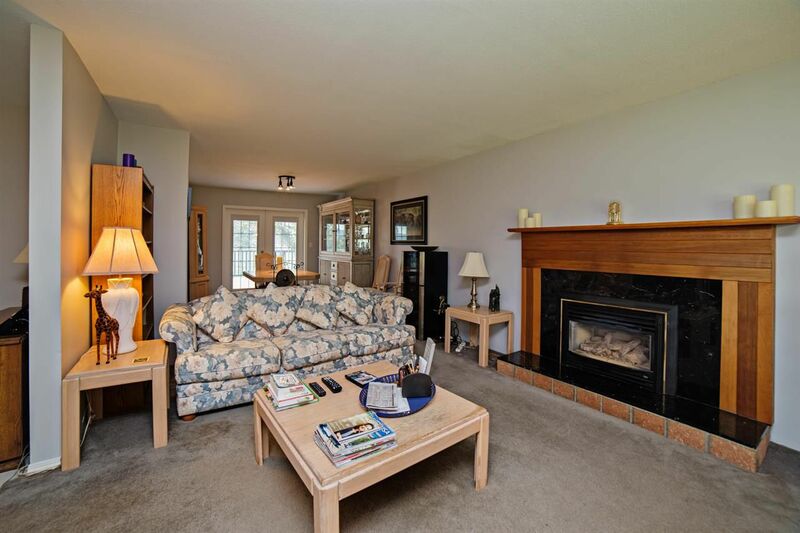 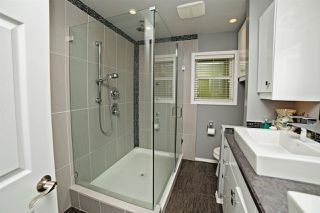 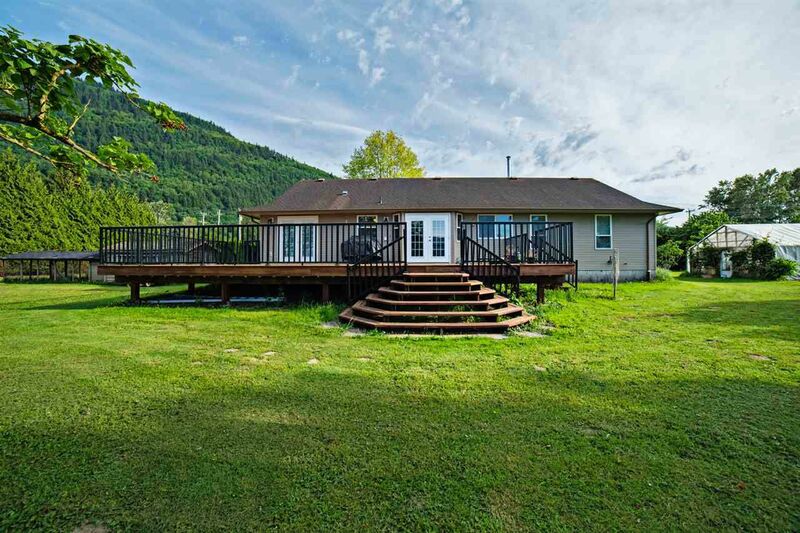 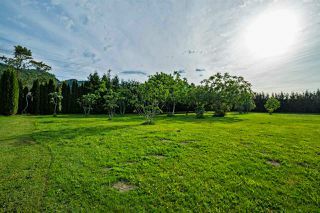 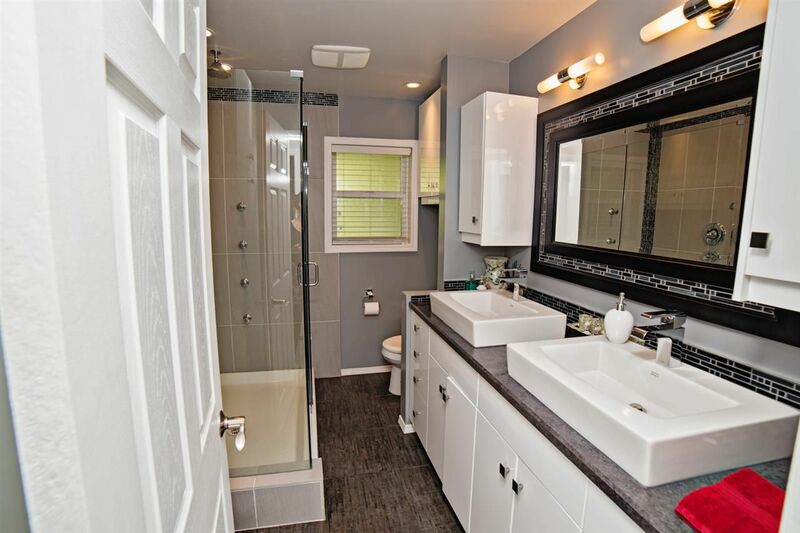 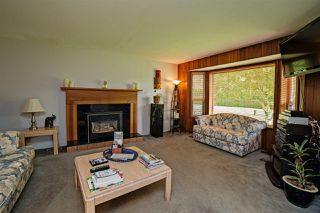 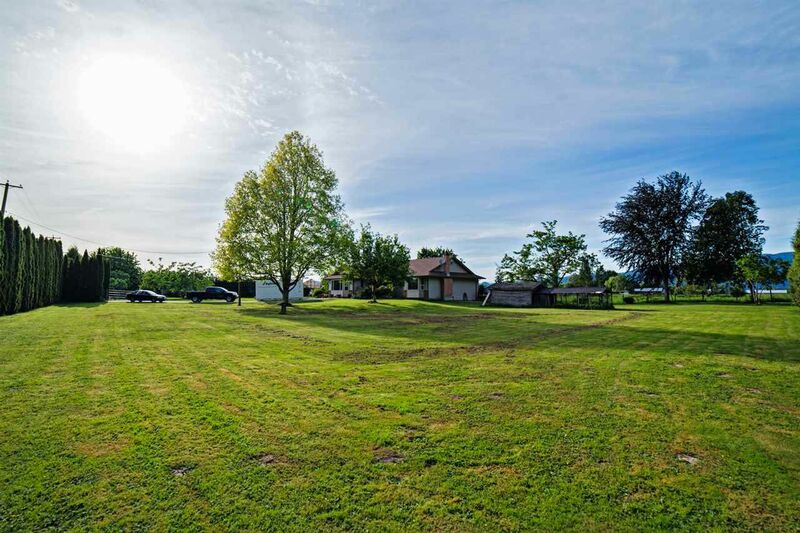 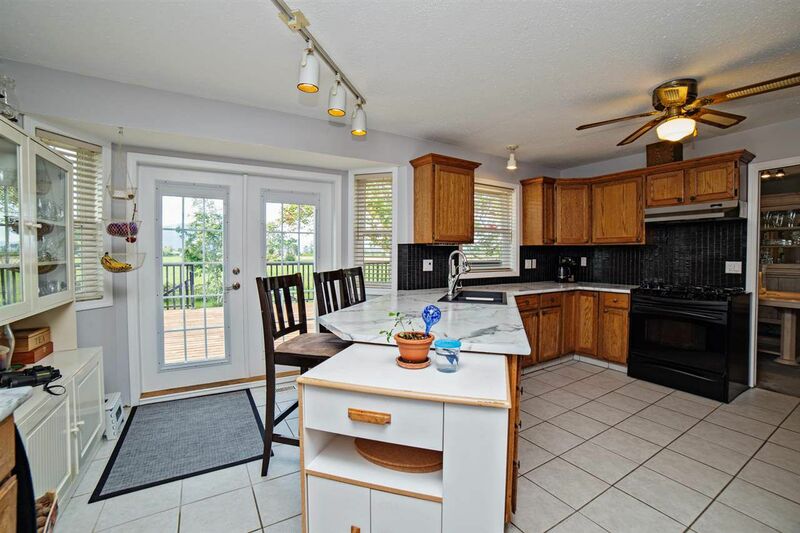 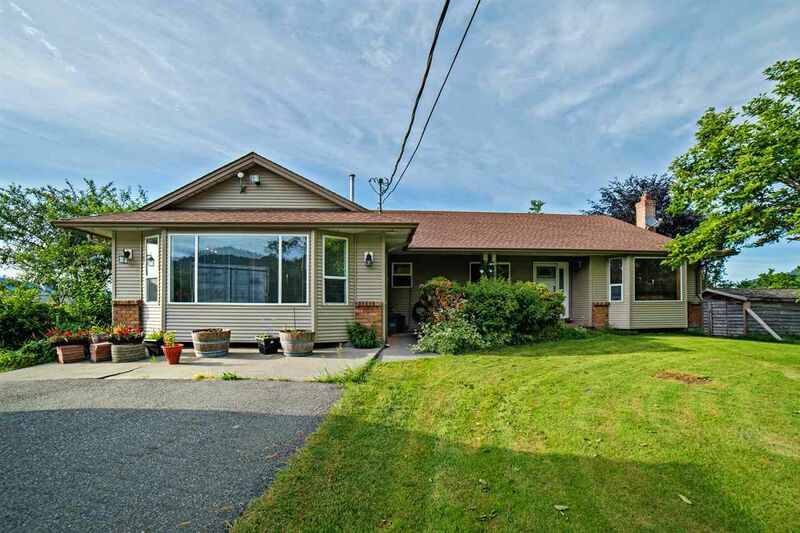 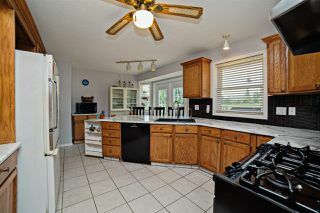 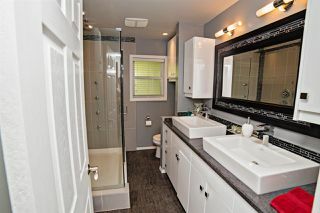 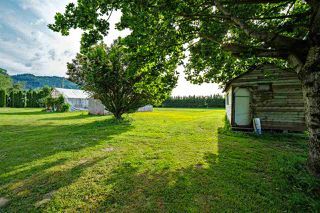 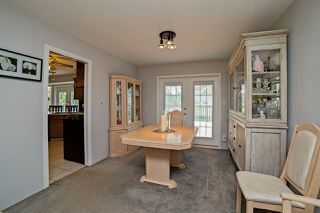 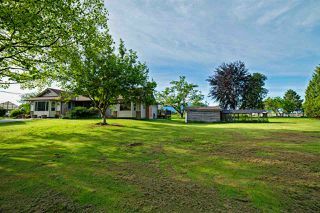 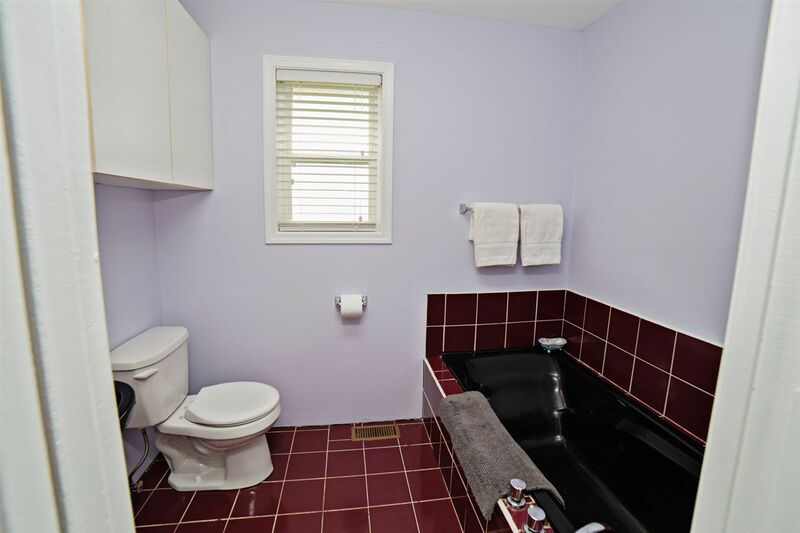 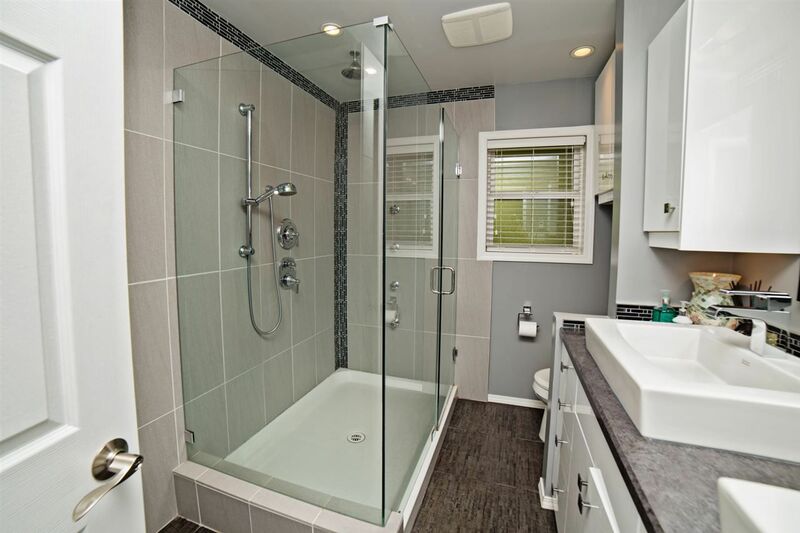 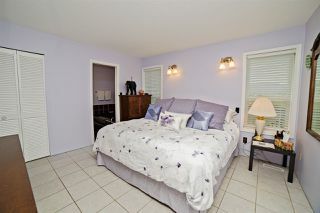 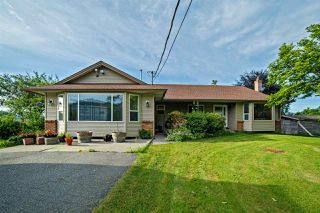 House & Acreage in desirable Sumas Flats. 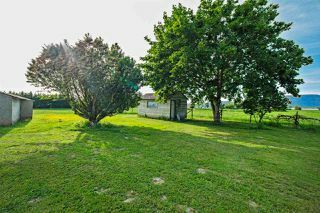 Lovely 3 bdrm rancher on 5 acres of useable agricultural land. 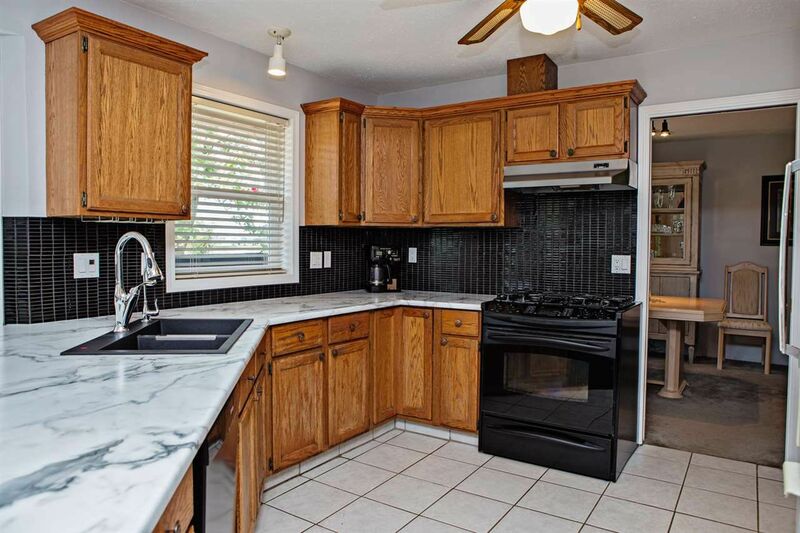 Great home with with fabulous kitchen that is an entertainer's delight with 3 ovens, gas stove, and french doors leading out to a 840 sq.ft. 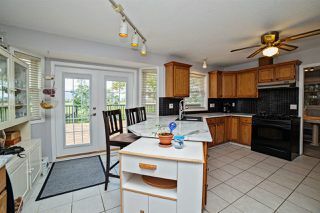 outdoor patio perfect for the summer bbq's. 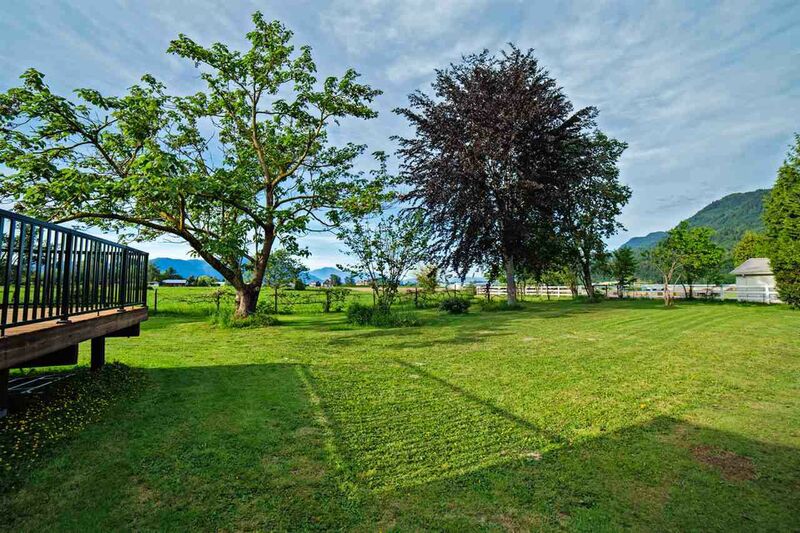 Bonus bbq gas hook-up for simplicity. 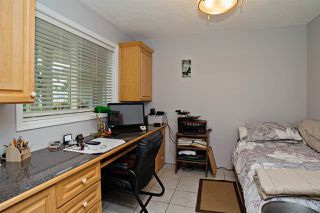 Many updates including newer windows. 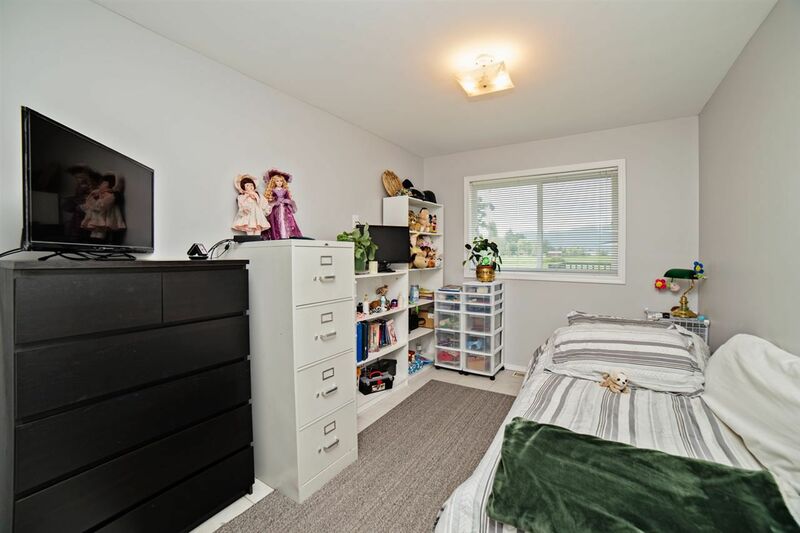 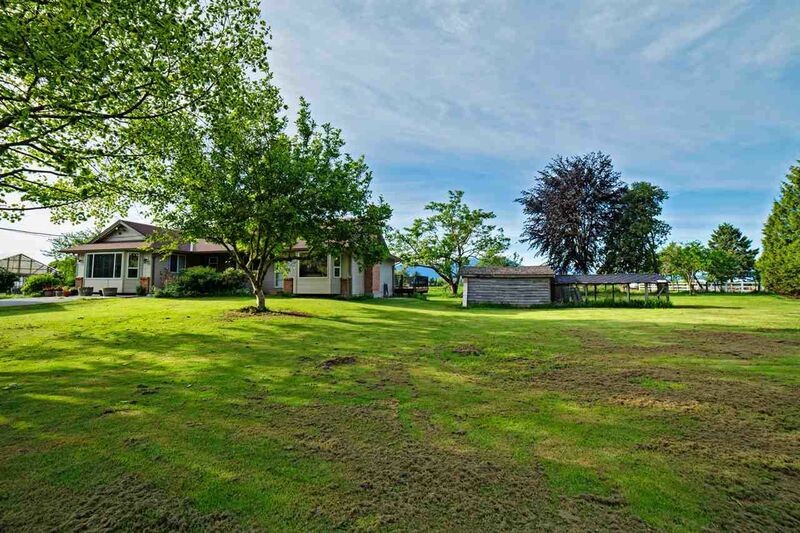 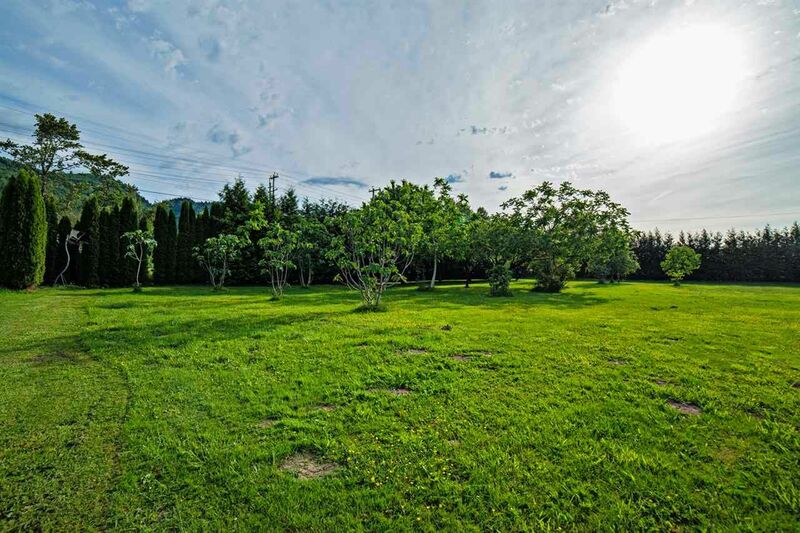 This property is mere minutes from shopping and amenities while affording you the beautiful countryside back-drop of the Fraser Valley and landscaped grounds. Perfect set-up for the hobby farmer with fenced-in pasture and greenhouse.